Love the band. We kinda got cheated because the slide bar stage was too small and not enough speakers. The band is too good for that and missed the full rock noise. They should have given them the better stage in back. Foul on slide bar not on the band. But still fun. I live these guys. See them as much as possible. These guys never fail to impress. Always a blast and very personable guys. They hang out with the crowd and very engaging. Awesome. They are always so amazing and entertaining. Great fun and music is always live and energetic as it should be. The show was awesome!! 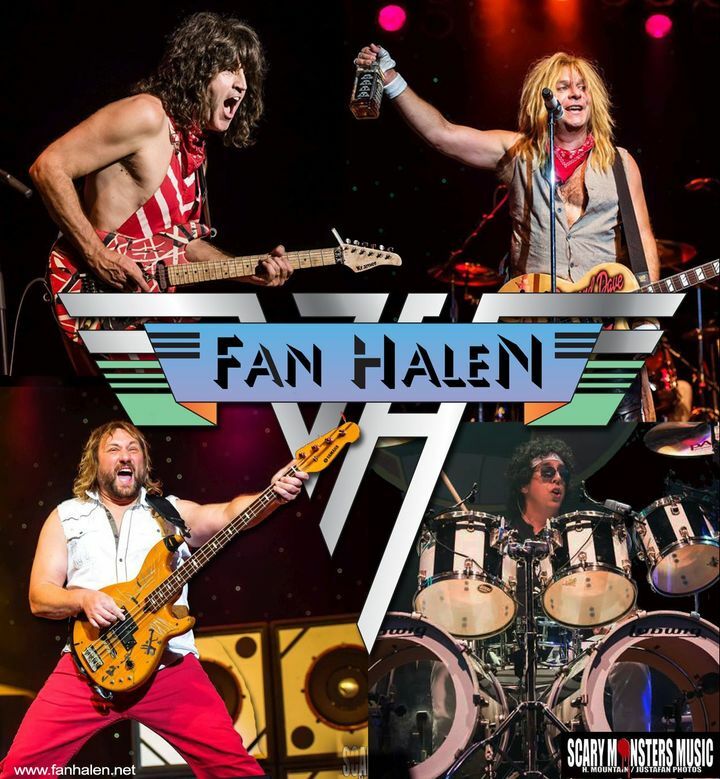 Fan Halen always puts on a great show!! Really happy my family was able to enjoythese fine musicians!! Looking forward to their next show!! They are so amazing. Eddie Van Halen on guitar is spot on and puts the audience in a trance with his playing. David lee Roth is such a showman and vocals are great. Michael Anthony on bass back up singing is fantastic and he rocks the bass. Alex on drums is definitely two thumbs up. It is definitely a show with seeing over and over.